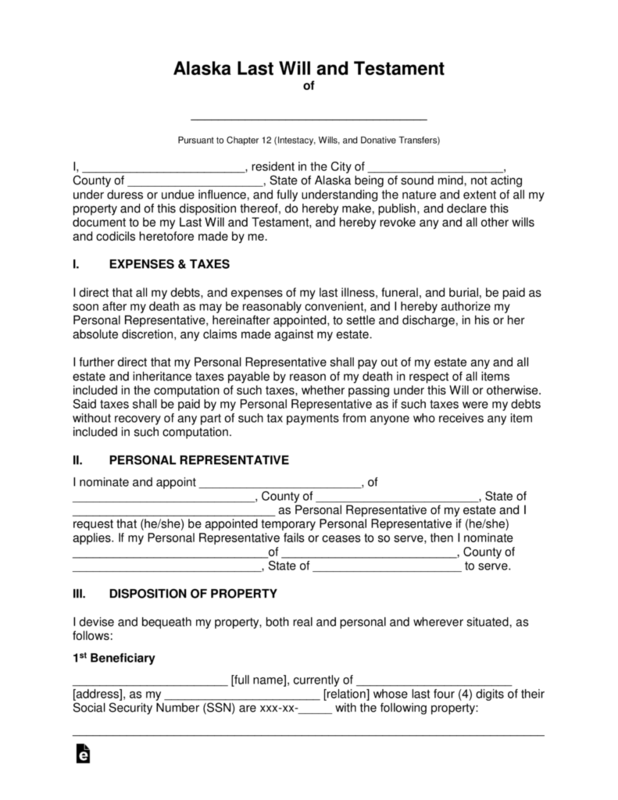 The Alaska Last Will and Testament is a document that is created by the Testator to ensure that personal and real property will be properly distributed upon the death of the testator, to their intended family members, friends or anyone with whom they wish to leave all or a portion of their personal property. The testator must create the document while they are of sound mind. This document will require two witnesses and must be acknowledged by a notary. Signing (AS 13.12.502) – Two (2) Witnesses. Recommended for them to be disinterested which means they are not beneficiaries of the will (meaning do not benefit upon the death of the will-maker). 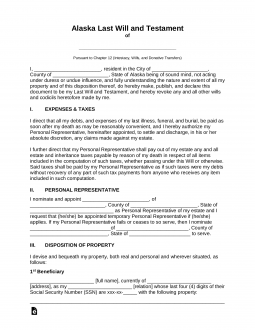 Step 5 – Signatures and Witnesses – All signing parties must be present prior to any signing of this documentation. Step 7 – Notarization – As the notary public has witnessed all signatures they will complete the remainder of the document.